Lewis M. Spain, 87 of Gainesville passed away Monday January 21, 2019 at the Northeast Georgia Medical Center. 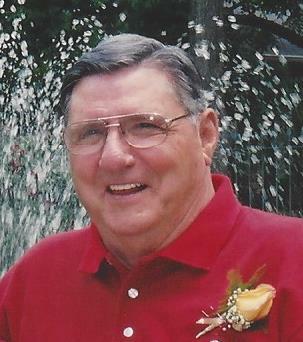 A lifelong resident of Hall County, Mr. Spain was the son of the late Andrew and Sina Watson Spain. He was co-owner of North Georgia Supply Company. He attended Gainesville City Schools and graduated from Gainesville High School where he was an outstanding Football and Baseball player. Mr. Spain was a member of the 1949 State Championship Baseball Team at Gainesville. He was an avid University of Georgia Bulldogs fan, and a member of Dewberry Baptist Church #1. Survivors include his wife, Peggy Whitmire Spain; daughter and son-in-law, Dena and Larry Grizzle; son, Mickey Spain, all of Gainesville; grandchildren, Amy and Brandi Anderson; Alesha and Jeremy Nix, all of Gainesville; Holly Worden, Athens; great grandchildren; Grayson, Emery and Ethan Anderson. A number of nieces and nephews also survive. Mr. Spain is preceded in death by his parents and a daughter, Shelley Melissa Spain Worden. Funeral services will be held at 2:00 p.m. Thursday January 24, 2019 in the chapel of Little & Davenport Funeral Home. Rev. Henry Loggins and Rev. Brad Reynolds will officiate. Interment will follow in the Alta Vista Cemetery. The family will receive friends at the funeral home Wednesday Jan. 23 from 2-4 p.m. and 6-8 p.m.